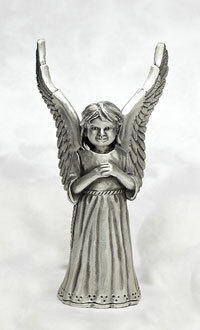 Each Boy Angel is handcast from our original artist's model. The original was made by the hand of our artist. Our loving guardian angel is caring for these little ones. ÿMay she remind you that at Christmas and throughout the year your guardian angel watches over you and your loved ones. Note the fine details that are replicated using our special lead-free pewter formula. 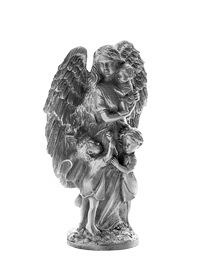 The Guardain Angel Figurine easily fits with any decor, desk, night stand, book shelve, kitchen counter, end table, and more!